JP Morgan Chase executives Matt Tipple and Bob McArdle discuss the result of the survey of 1,800 small and midsize businesses. 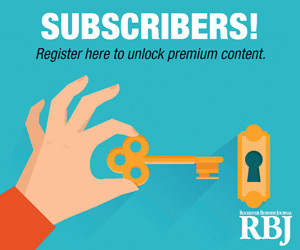 Get the latest episodes of the RBJ BizCast instantly when you subscribe for free using Google Play or Stitcher! You can also follow our station on Soundcloud or point your favorite podcast software at this RSS Feed.